CodeRange – allows users of codebasehq.com to manage their projects from anywhere. Using the powerful, real-time Codebase API, users can read, update and contribute to any of their codebase projects. All the latest activity from your account in real time, including tickets, repositories, discussions, wiki updates and deployments. Add notes, or edit the status of any ticket, including category, priority, type or assignee. Add new tickets on the move to any project. View any of your codebase projects and tickets. Respond quickly to any ticket from the project dashboard. Details of how each ticket and repository has progressed through time, along with the current status and assignee. Simply scan your QRCode from your codebase account to get started. You only need to do this once when you start the app. You can also enter your username & API key manually. File Support – add, upload, remove files from your projects. 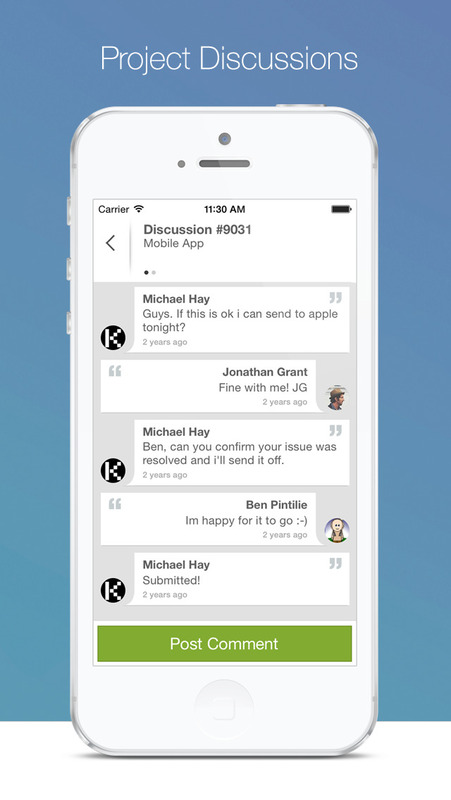 Push Notifications – Real time ticket/discussion alerts. User Management – manage project assignees. Please send us your feedback. Have an idea for a feature? Let us know!